Natural History Public Bar will be hosting its very own Crab Smash Bash on Thursday 4th April. Leave your table manners at home; this is a fabulously messy and fun night where guests are encouraged to really get stuck in. 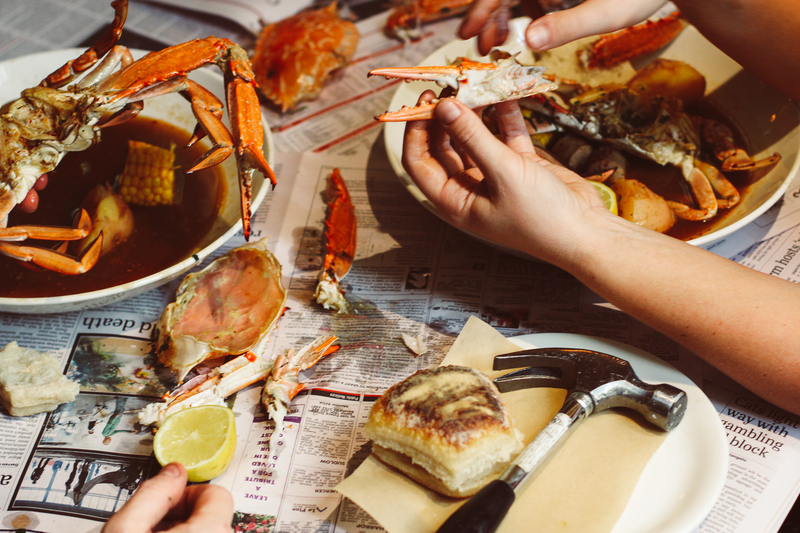 The Crab Smash Bash is a traditional crab boil-up with potatoes, corn, crusty bread and sausage originating from America’s deep south states. Tables will be laid with newspaper, and everyone will be provided with a bib and hammer so they can smash up the blue swimmer crabs and extract all the delicious meat and juices. Guests can opt for the ‘Crab Only!’ ticket, which gets them their own crab to bash and all the trimmings for $65 (plus booking fee), or for a boozy option, there is the ‘Crab and Booze!’ which adds on two hours of Pirate Life Lager, Quealy Pinot Grigio and Prosecco for $96 (plus booking fee). Diners will also be treated to music from resident piano man Matt Ganim, an incredibly talented musician with more than 10 years’ experience performing internationally and locally. From Elvis Presley to Robbie Williams to Lady Gaga, Ganim has an extensive repertoire with something for everybody. With the event kicking off at 7pm, Crab Smash Bash is perfect for anyone looking to have a lot of fun and eat delicious food at the same time. Bookings are essential. 100 Burgers Group reopened the doors to its Collins Street venue as a reinvigorated public bar at this beginning of this year. The public bar features a stunning 30-foot diorama and extensive list of natural wines plus a new gastropub menu featuring classic dishes and crowd-pleasing daily specials. Natural History Public Bar is open Monday to Friday and aims to be a hub for Collins Street workers looking for an easy lunch or a drink after work. Newer Post Get hooked on drama with Bunjil Place’s Black Box Series	Older Post High flying pirates – a tumble of fun!